FAQ: Do employees in Ontario who take maternity and parental leave for the one year accrue their regular vacation as per their employment contract? First Reference receives numerous frequently asked questions regarding various employment topics, including employee benefits. Recently we received a question of whether employees in Ontario who take maternity and parental leave for the one year accrue their regular vacation as per their employment contract. If that were so, the inquirer wanted to know whether it was normal practice to allow those employees to take the accrued vacation right after their leave has ended (i.e., extending their time off). Ontario’s Employment Standards Act states that an employee’s pregnancy or parental leave is included in calculating the employee’s length of service (whether or not it is active employment) for the purpose of determining a right under a contract of employment. Since vacation time entitlement is related to length of employment, the employee may be eligible for vacation time after the pregnancy/parental leave ends. In Ontario, employees accrue vacation time during their maternity and parental leave. However, if an employer’s vacation policy and employment contract clearly state that vacation pay is a percentage of total gross income earned in the entitlement year (i.e., 4%), then the employee will not accrue vacation pay, but only vacation time as there is no income earned during the leaves. Moreover, as for vacation pay, if an employer’s policy is to provide regular pay for each week of vacation, the employee would be eligible for vacation pay. If, however, the employer’s policy is to pay vacation pay as a percentage of earnings, the employee may not have earnings upon which vacation pay can be calculated. If an employer’s vacation pay policy is properly drafted, the employee will be allowed vacation time, but not vacation pay for the vacation accrued during the leave. With respect to extending the employee’s leave with accrued vacation, it is not a normal practice for an employer to allow an employee to do so; it is at the employer’s discretion to do so. The common practice is to come to a mutual understanding with the employee on the scheduling of vacation or according to the employer’s vacation policy, taking into consideration the nature of the employer’s business and operational needs. Found this FAQ helpful? 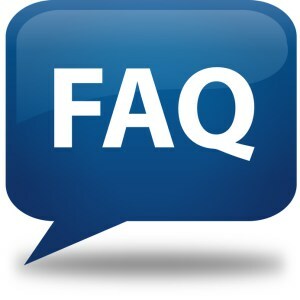 HRinfodesk publishes weekly FAQ’s in relation to numerous employment topics such as terminations, health and safety, payroll, workplace accommodation and much more! HRinfodesk is a comprehensive and in-depth news and information service that provides employers with the most important developments and trends in the world of payroll and employment law. Request your 8-issue trial subscription to HRinfodesk!